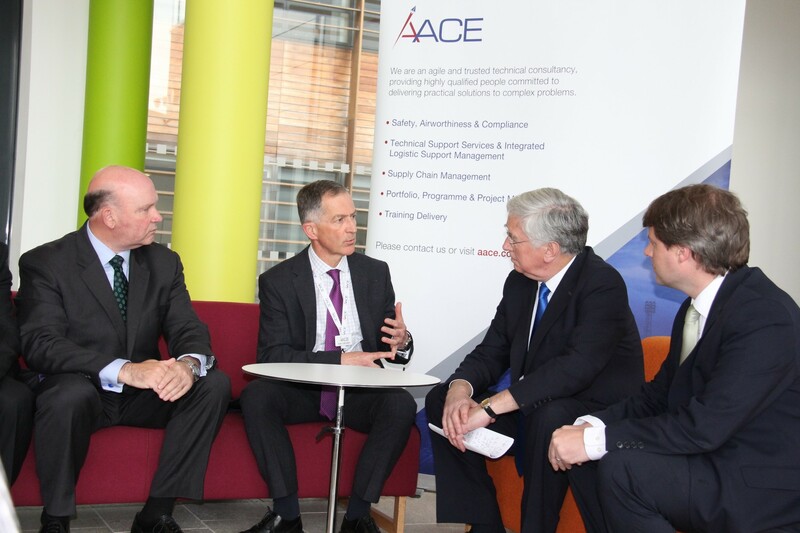 On 24th April, AACE welcomed the Secretary of State for Defence, the Rt Hon Sir Michael Fallon MP to their offices in Bristol. The Secretary of State was accompanied by Mr Chris Skidmore, MP for Kingswood and Cllr Tim Bowles, the Conservative mayoral candidate for the West of England. As one of many small and medium enterprises in the Bristol area which provide valuable support into the MOD, the team at AACE was very pleased to explain how their company of subject matter experts assists in providing efficient and effective support to our armed Services. (left to right) Tim Bowles, West of England Mayoral candidate; Nolan Collins-Bent, MD of AACE; Sir Michael Fallon MP, Defence Secretary; Chris Skidmore, MP for Kingswood.